Buying a new vehicle is not for everyone. It can be very expensive and many consumers can’t justify the cost when there are so many excellent used vehicles readily available. This is one reason why this option is so popular. Buying a used car is a great way to get a dependable ride without putting a strain on your finances but you need to make sure the investment you make is a good one. When buying from an individual, you never know for sure what kind of condition the vehicle is in. Just because they say it’s in great shape doesn’t make it true. However, dealerships have a reputation to protect. 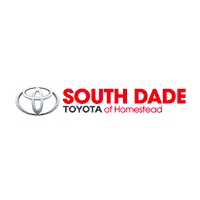 Here at South Dade Toyota we work hard to ensure our used vehicles are in the best condition possible, so you don’t have to worry about wasting your money. Stop by our dealership or view our online invention to look for the Toyota that best matches your needs. This way, you’ll have a large selection of used vehicles to choose from, making it easier for you to find the best deal for your money. When buying a used car, you want to get a good deal but you also want a dependable ride. Take your time and look for the right car instead of rushing to buy something to make sure you’re happy with your investment for a long time. Don’t assume anything– Before buying a Toyota, make sure it has all of the features you want and that you can drive or ride in the vehicle comfortably. Talk to and listen to the dealer– When you take the time to talk to the dealer and explain what you really want and expect in a vehicle, he will have the information needed to help you find the best option for you personally. Ask about used vehicle specials or other discounts– You never know what special deals or discounts you’re missing out on that could save you a considerable amount of money on your purchase if you don’t ask. Talk to the dealer and find out what options are available. Talk to your insurance company before finalizing the deal– You will have to add the vehicle to your insurance policy and insurance rates are different for every vehicle. To avoid last minute surprises that could strain the budget, call your agent, tell him what type of Toyota you are considering buying and ask for an insurance estimate. Make sure the vehicle is suited for your particular needs– If the vehicle doesn’t meet your particular needs, it won’t be very beneficial and you may end up trying to trade it in for a different one. Always test-drive the vehicle– It may seem like a simple thing but you’ll be surprised at how many people buy a vehicle they think they love only to discover they hate the way it drives. When considering the price of the used Toyota, take into consideration the overall condition of the vehicle, mileage and features before making a decision. Paying a little extra for added features or low mileage now could greatly benefit you later.